Birthplace : Columbia, South Carolina, U.S.
Jermaine O'Neal is an American professional basketball player for the Boston Celtics. The 6 ft 11 in (2.11 m), 255 lb (115 kg) forward-center had a successful high school career and declared his eligibility for the 1996 NBA Draft straight out of high school. In four years at Eau Claire, posted a 97-16 record and won three state AAA titles and came in second once...scored 1,372 points and grabbed 833 during his prep career...set school records for blocks in a game (16), season (170) and career (397)...named to USA Today’s 1996 All-USA Basketball Team as a senior...was also named Mr. Basketball and first-team All-State by the Associated Press as a senior...averaged 22.4 points, 12.6 rebounds and 5.2 blocks his senior year while shooting 68.2 percent from the floor...as a junior he averaged 18.2 points, 12.8 rebounds and 7.1 blocks...in 1996, he helped the U.S. 20-and-under team win the World Championship Tournament in Germany. Full name is Jermaine L. O’Neal...answers to the nicknames, "J.O." (his initials) and "Six" (given to him because of his football background)...is the son of Angela Jones...he and his wife, Mesha O’Neal, have a son (Jermaine O’Neal, Jr.) and a daughter (Asjia O’Neal)...considers his two children to be his most prized possessions...has a brother (Clifford O’Neal)...established the Jermaine O’Neal Foundation in 2003 in order to improve the quality of life for children who need it most...was drafted by the NBA right out of high school...resides in Las Vegas in the off-season...away from the court he enjoys spending time with his family...would like to continue to be a successful businessman when his career is over...his favorite sport other than basketball is football and his favorite team is the Dallas Cowboys...lists Martin and First 48 has his favorite television shows...his favorite food is chicken...says the best place he’s visited is Atlantis in the Bahamas because it is where he married his wife...his pre-game ritual involves eating, taking a nap and getting dressed at the same time before each game...has several tattoos and his favorite is an image of praying hands with the words "For the love of God" . 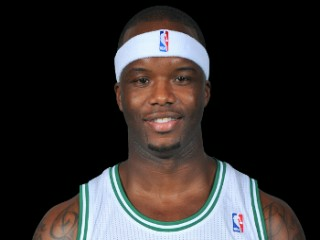 View the full website biography of Jermaine O'Neal.